PORT-AU-PRINCE, Haiti — Thousands of demonstrators took to the streets of Haiti’s capital on Thursday to demand the ouster of President Jovenel Moise amid months of protests. Demonstrators want Moise to resign for not investigating allegations of corruption in the previous government over Petrocaribe, a Venezuelan subsidized energy program. They pledged to continue demonstrations through the weekend unless the president resigns. 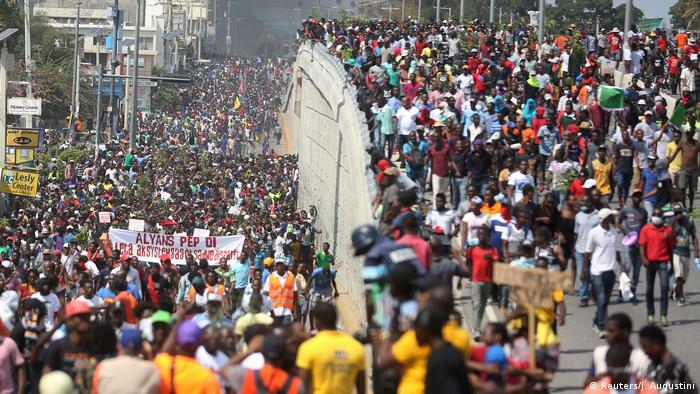 Haiti is absolutely having some big protests now if anyone is interested, they can research it for more info.